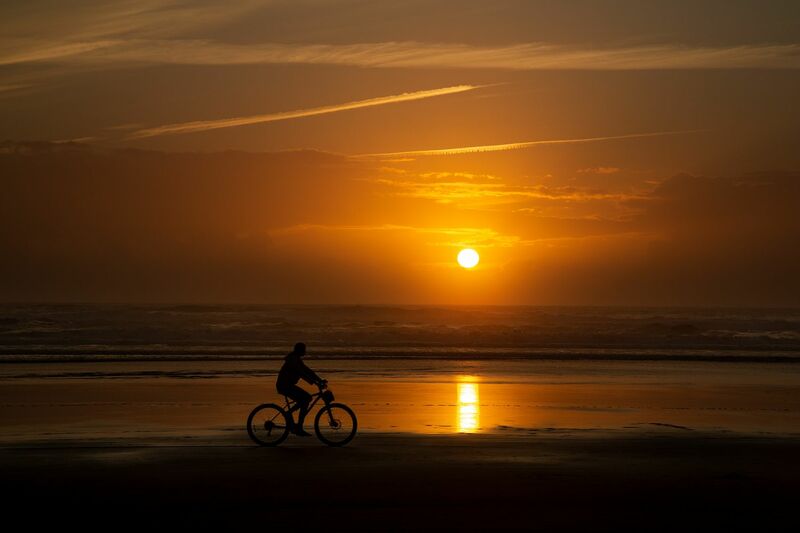 We were just walking along and I had no intention of taking a Cyclist silhouette on Cannon Beach Oregon. The sun was setting and I was just enjoying the beautiful colours when I looked behind me and saw this cyclist without a care in the world. Luckily everything was set up on the camera for this sort of shot so just pressed the shutter. It's a really simple shot but for me just has something about it.